Hodge - No Single Thing. Vinyl EP. Bleep. 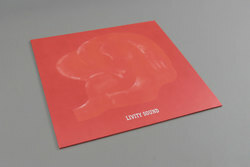 Hodge turns in a blinding three tracker for Livity Sound, following on from his murderation for Hemlock and Berceuse Heroique and that insane industrial steppers collab with Peder Mannerfelt. No Single Thing is peak time Hodge gear, perfectly formed sections of club-ready techno that stand out miles from the crowd. Percussive jack with a tight techno sensibility wound around it that will cause any other 12" placed near to it to crumble into submission.